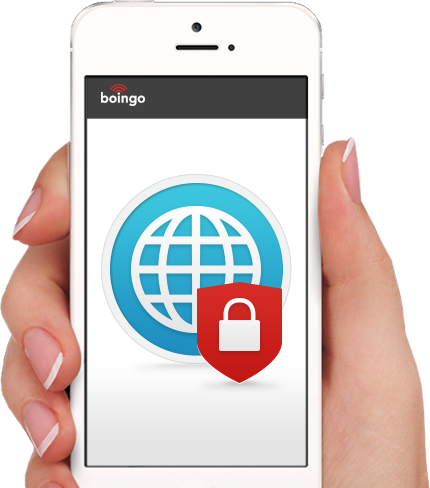 Automatically connect to secure Wi-Fi networks. 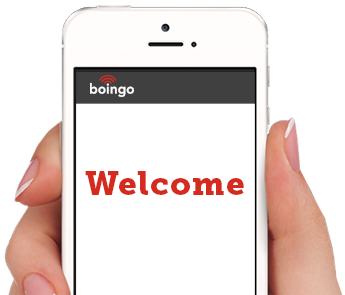 No Logins, No Apps, No Fuss. 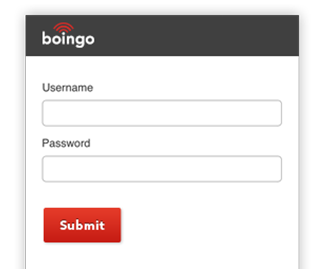 Tap or click "Create Profile" at the bottom of this page and enter your regular Boingo credentials. 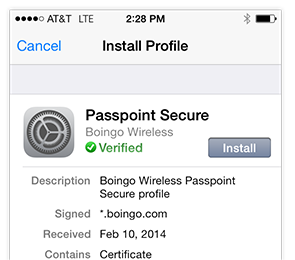 Follow the instructions to download and install the Passpoint Secure profile. Connect seamlessly and securely at more than 20 premium airports. More locations coming soon. Passpoint works with all Hotspot 2.0 capable devices running Android 6.0, Windows 10, iPhone 5 (or higher), iPad 3rd generation (or higher), iPad Air, all iPad Mini’s and Macs running OSX Mavericks (or higher).